Situated in the heart of the city, this historic hotel provides an ideal location and convenient facilities for both tourists and business clients. From the moment you arrive you will enjoy a true home-from-home atmosphere, with staff and management trained to ensure that you have a thoroughly enjoyable stay. Relax and enjoy the tradition of this historic property with its delightful furnishings, grand staircase, fireplaces and Roman artefacts. The Westminster offers a combination of attractively designed bedrooms and public areas. Exceptionally friendly staff, and, of course, its superb central location, make this an award-winning hotel in everyone's eyes. 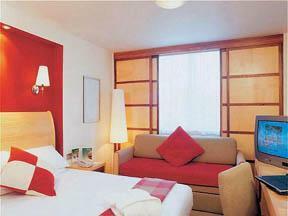 Rooms at the Westminster Hotel range from standard to executive, with some having been recently refurbished. In beautiful, peaceful grounds on the outskirts of Chester, just 4 miles (6.5 km) from the heart of the city, this beautifully preserved manor house is today a luxury 4-star hotel. 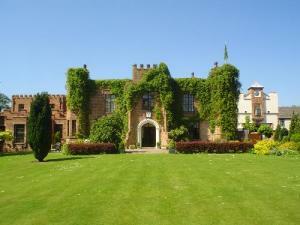 Originally built in 1660, Crabwall Manor is a magnificent Grade II listed building near the historic city of Chester. Chester Racecourse is just 2.5 miles (4 km) away and the shops of Cheshire Oaks Designer Outlet are just a 10-minute drive away. 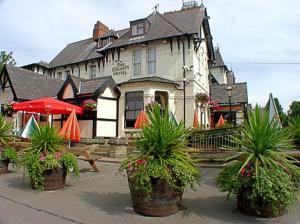 The hotel is conveniently located only 5 minutes from the M56 motorway, for travel all around the region. Free parking is available for guests. There are 48 luxurious and well-appointed en suite rooms, each of which is carefully and individually decorated in a rustic country style. The hotel's Conservatory Restaurant offers a luxurious setting in which to relax and enjoy the finest of cuisine. The impressive leisure and relaxation facilities include an indoor swimming pool, a sauna, a gym and an aerobic studio. The on-site spa offers a range of relaxing and therapeutic treatments, perfect for a restful, relaxing and restorative break or for a luxurious weekend of pampering and a little well-earned indulgence. Featuring a swimming pool, spa and gym, the Mollington Banastre is a country-house hotel just 2 miles (3.2 km) from Chester city centre and 20 minutes from Liverpool. 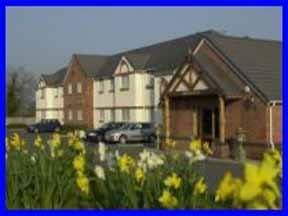 Best Western Mollington Banastre Hotel and Spa offers good hospitality, comfortable surroundings and links to the M53 and M56. The Wirral is close by. 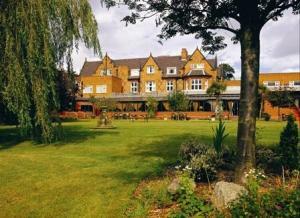 There are 2 restaurants: the Brasserie within the Leisure Club, and the spacious Garden Room overlooking the grounds. 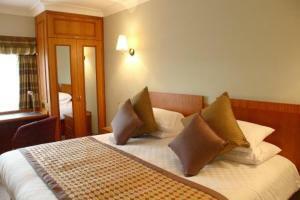 25 of the hotel's rooms have been newly refurbished. Barcel? Shrigley Hall Hotel, close to Manchester, is an impressive manor house in leafy Cheshire countryside. 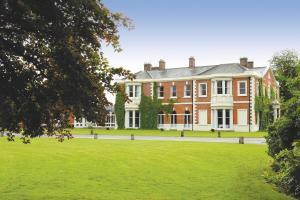 Within the grounds are a health and fitness club and a championship golf course. The historical hotel sits high above the estate on the edge of the Peak District National Park. Barcel? Shrigley Hall Hotel welcomes you with fresh flowers in the grand entrance hall and a real log fire in the Courtyard Bar. The en suite bedrooms include Premium Rooms, some with four-poster beds and all with views of the golf course and lake. You will find an 18-hole championship golf course in the grounds with a fantastic golf shop and bar. Shrigley Hall also has a unique health and fitness club in the former chapel. Enjoy the swimming pool, steam room, sauna and full gym; or the wide range of beauty and aromatherapy treatments. In the heart of the historic city of Chester, just 350 metres from the train station, this modern hotel offers great value and comfortable, spacious en suite rooms with king-size beds and Freeview TV. The Premier Inn Chester City Centre is a great base from which to explore Chester's impressive cathedral and the beautiful black and white fa?ades of the city's historic buildings. Great for a city break, Chester also boasts an exciting nightlife, with plenty of bars and restaurants. The hotel has a 24-hour reception desk and some rooms can take 2 adults and up to 2 children (under 16 years). The 2 children also get a free full breakfast when accompanied by an adult eating a full breakfast. An all-you-can-eat buffet breakfast is available each morning and includes scrambled, fried, poached or boiled eggs, and pork or vegetarian sausages. There is also a wide continental selection. The on-site restaurant offers good food and drink at reasonable prices. Boasting a convenient position in Warrington, this recently-refurbished 3-star hotel is within easy reach of Manchester Airport, Liverpool City Centre and 3 major motorways; the M6, M56 and M62. Following a multi-million-pound investment, the Fir Grove Hotel now boasts a new conservatory, conference and banqueting centre, reception area, lounge bar and restaurant. The frontage has also been renewed, to welcome you into this elegant accommodation. From the moment you arrive at the Fir Grove, you will begin to relax with spacious, substantial car parking surrounded by mature trees and well tended gardens. Just off junction 12 of the M56 motorway, the hotel has free on-site parking, modern air-conditioned rooms, and a convenient location with good access to the region's major road network. The Holiday Inn Runcorn has a good location, just 15 miles (24 km) from Manchester, 14 miles (23 km) from Liverpool and 16 miles (26 km) from Chester. Warrington is only 8 miles (13 km) away and the old market town of Frodsham, with its lively bars and restaurants, is only 2 miles (3 km) from the hotel. The hotel has 148 comfortable and modern en suite rooms, all with interactive TVs, workspaces, hairdryers, trouser presses and tea/coffee making facilities. The hotel also boasts the newly refurbished Traders Restaurant and Hub Bar. The Spirit Leisure Club has a full-equipped gymnasium, a swimming pool, a sauna, a jacuzzi and a steam room. There is also a solarium available at an additional cost. 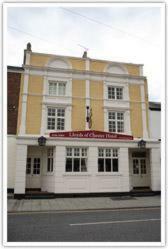 This family-owned and run hotel is conveniently located just 5 minutes from the train station and the town centre of historic Chester. Discover a retreat from city life complete with fresh flowers, elegant comfortable furnishings and a tasteful decor. Having recently benefited from a full refurbishment programme, the hotel offers exceptional accommodation. 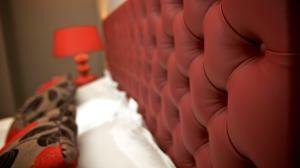 All rooms feature a high standard of soft furnishings and amenities. The all-day coffee bar serves morning coffee, afternoon tea, and a wide variety of beverages and light meals throughout the day. From the moment you step through the front doors into the beautifully appointed reception area, you will find an interior that complements this stunning historic city. Lloyds of Chester is a non-smoking hotel. The County Hotel is situated in Alderley Edge, Cheshire, just a 5-minute walk from the the village centre and close to Wilmslow town centre. The County Hotel is an old converted work house, making each room individual and unique. The hotel has a restaurant which serves food all day, every day and a bar serving drinks until 23:00. Connected to the bar and restaurant is a safe children's play area with children's activities. Right in the heart of Chester, this beautifully renovated Georgian town house combines stunning original features with modern style and luxuries, including free Wi-Fi and parking. Dragonfly has a superb location, just metres from Chester Racecourse and the city centre's historic attractions, fashionable shops, stylish bars and fine restaurants. Blending contemporary design with beautiful Georgian architecture and impressive original features, Dragonfly offers modern luxury accommodation at affordable prices. Spacious and contemporary, all of the rooms are individually styled with luxury beds, 32-inch flat-screen TVs, workspaces, iPod docking stations, hairdryers and tea/coffee. Each room has a stunning quarry-slate bathroom with a massive shower or an over-sized bath. The bathrooms come complete with huge fluffy white towels and deluxe toiletries and bathroom products. There is some limited free parking behind the property, with 24-hour public parking available nearby at a small additional cost. 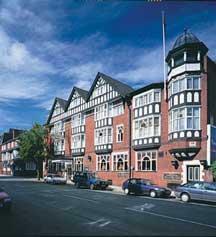 Doubletree by Hilton Chester is 2 miles (3.2 km) from the city centre. It has exciting new features, including a new restaurant. Manchester, Liverpool and Warrington are easily reached by road. 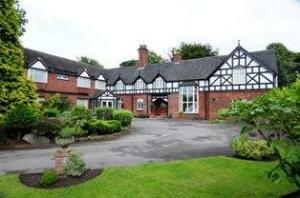 The hotel is off the main route into Chester from the M53 motorway, and within easy reach of the M56 and M6 motorways. All guest rooms have been refurbished and new suites have been added. 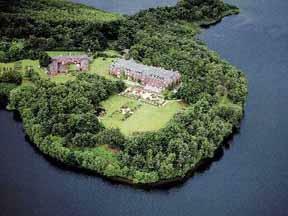 A luxury health spa will open in winter 2009. 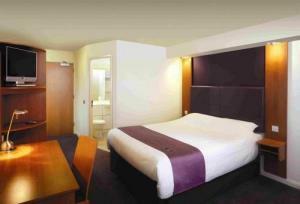 The warm and welcoming Orchid Room at Doubletree By Hilton Chester is styled in white leather and walnut. It offers exceptional food and service. Fine produce is used to create international cuisine with contemporary flavours. This charismatic family-run hotel provides a peaceful location just outside Chester's historic centre, yet only a 10-minute walk away from the city centre's amenities and attractions. The Brookside Hotel prides itself on its friendliness, cleanliness and home-from-home experience. During your stay you can enjoy a relaxing drink in the bar, which is open 7 nights a week. There is also a lounge and reading areas including an elevated library with fireplace. The hotel also features free Wi-Fi access, 2 car parks and is just across the road from a local bus route. You can enjoy a 3-course dinner (at an additional cost) in the intimate Brookview restaurant between 18:00 and 20:30 (booking required). The restaurant is closed on Sunday nights. Just south of Manchester city centre, this newly-refurbished hotel provides stylish accommodation within minutes of Manchester Airport and close to the M6, M56 and M60 motorways. The Menzies Pinewood now provides a contemporary feel throughout, with a range of facilities, including 58 en suite bedrooms, a superb ? la carte restaurant, spacious lounge, bar and terraced al fresco dining area, overlooking the beautiful landscaped gardens. The hotel is set in a peaceful location, offering the perfect base for exploring the Peak District, Cheshire or Manchester city centre. With excellent conference, meeting and wedding facilities, the hotel suits both the corporate and leisure traveller. Packages which include accommodation, parking and airport transfers are available. The Kings at The Queen offers excellent accommodation facilities, including free internet access, in the centre of Chester, and is walking distance from many historic sites. The Kings offers individually designed, themed bedrooms, oversized bathrooms with power showers, and 24-hour deluxe room service. The rooms all have full entertainment systems with satellite TV, CD and iPod players and other memorable added extras. Nestled amid 27 acres of mature woodland and gardens, this 4-star hotel and spa is ideally located on the outskirts of Chester, just minutes away from the M56, M53 and M6. Centrally located for business or pleasure stays in the North West, the major cities of Chester, Liverpool "The Capital of Culture 2008" and Manchester are only short drives away from the Macdonald Craxton Wood Hotel. From here you can visit any of the major attractions, sporting and musical events taking place in the region. Offering 4-star facilities, comfort, peace and relaxation in a pleasant rural location, yet within easy access of nearby cities, Macdonald Craxton Wood Hotel is a great option, whatever your reason for visiting. Located just off junction 11 of the M56 and close to the M6, this 4-star hotel is ideally positioned for easy access to Manchester, Chester and Liverpool, European Capital of Culture 2008. For business events, Daresbury Park offers a choice of seminar, meeting and conference rooms, all furnished with the latest technology. A variety of rooms can also be reserved for private dining, any day of the week, for breakfast, lunch or dinner, for between 15 and 200 guests. The Centrium cafe bar provides an ideal meeting place, serving tea and coffee and light snacks. Unwind in the leisure club or beauty salon and dine in the informal vibrant brasserie Looking Glass restaurant. The leisure club features a 15 metre indoor pool with relaxation area, cloud steam room, spacious gym with state-of-the-art equipment, fun shower and spa pool.